“This January 27, 1956 performance of COSI FAN TUTTE was broadcast from the stage of the Piccolo Scala Theater in Milan. 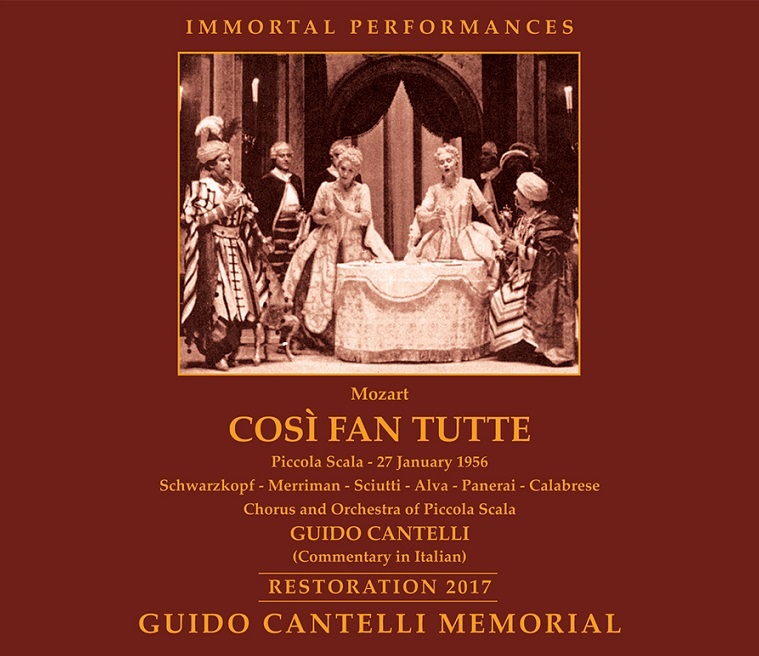 The Piccolo Scala COSI is the only recorded document of the Guido Cantelli leading a complete operatic performance. By the time Cantelli led this COSI, performed in celebration of Mozart’s 200th birthday, the young Italian conductor had firmly established himself as one of the finest and most dynamic young artists of his generation. But on November 24, 1956, Cantelli died in a plane crash shortly after taking off from Paris’ Orly Airport. 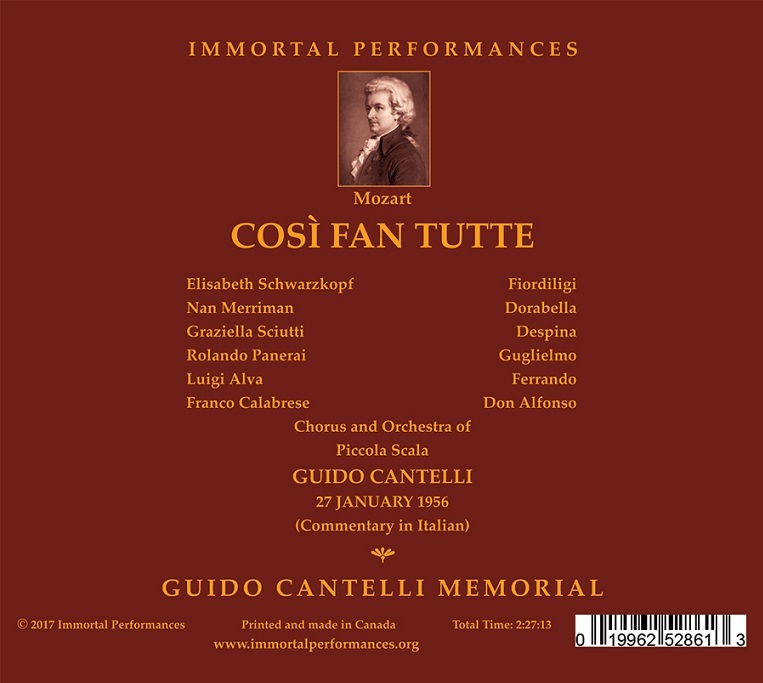 Cantelli (like Mozart at the time of his untimely death) was only 36 years old. Because Arturo Toscanini greatly admired and identified with Cantelli’s conducting, and did much to champion the young man’s career, these two great artists are often compared to each other. 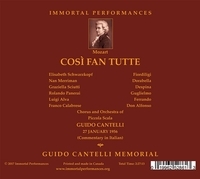 Suffice it to say that Guido Cantelli was a brilliant talent, a conductor with extraordinary and patrician musical sensibilities, coupled with the necessary technique and fierce will to achieve his desired results. [This] 1956 COSÌ has also previously been issued on several labels devoted to in-performance recordings.